and missing or loose teeth. The AVMA estimates that by age two, 80 percent of dogs and 70 percent of cats have some form of periodontal disease, which is one reason a thorough annual exam is so important for every p et. Your veterinarian will typically examine your pet’s mouth and teeth during a routine physical exam. If necessary, the veterinarian may recommend a dental cleaning. This procedure requires general anesthesia. During the process, the pet’s teeth and gums will be thoroughly examined, scaled and polished. 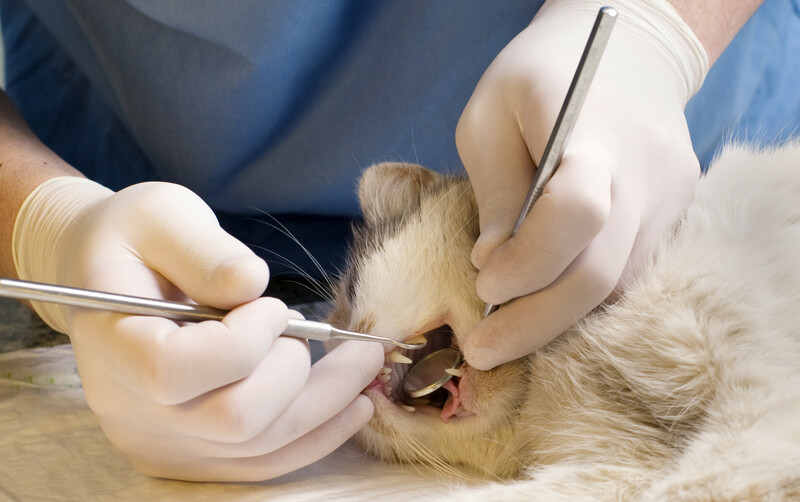 If a problem tooth is found, it may need to be extracted. 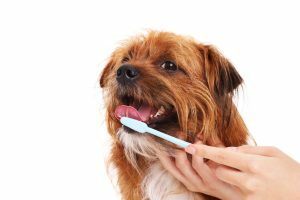 The best way to minimize professional cleanings at your veterinarian is to keep your pet’s teeth clean with home dental care. 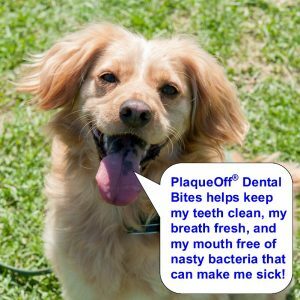 While 80% of people brush their own teeth every day, most do not do the same for their pets. Brushing your pet’s teeth can help keep teeth clean. 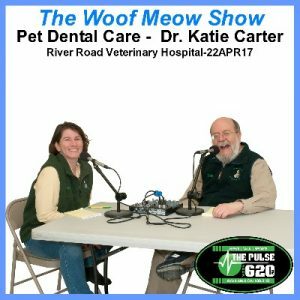 If you have a new puppy or kitten, one of the best things that you can do is to get them used to regular home dental care while they are still young. 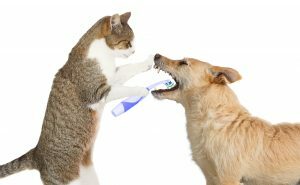 If you do brush your pet’s teeth, the general rule seems to be that you must do so every 48 hours to be effective. pet’s teeth clean. We carry both of these products in our store but especially like Whimzees because of their simple ingredient list and the fact that they are always free of wheat, corn, soy, gluten, and GMO ingredients. Whimzees are made to human grade food standards and contain no artificial colors, flavors or preservatives and dogs love them! 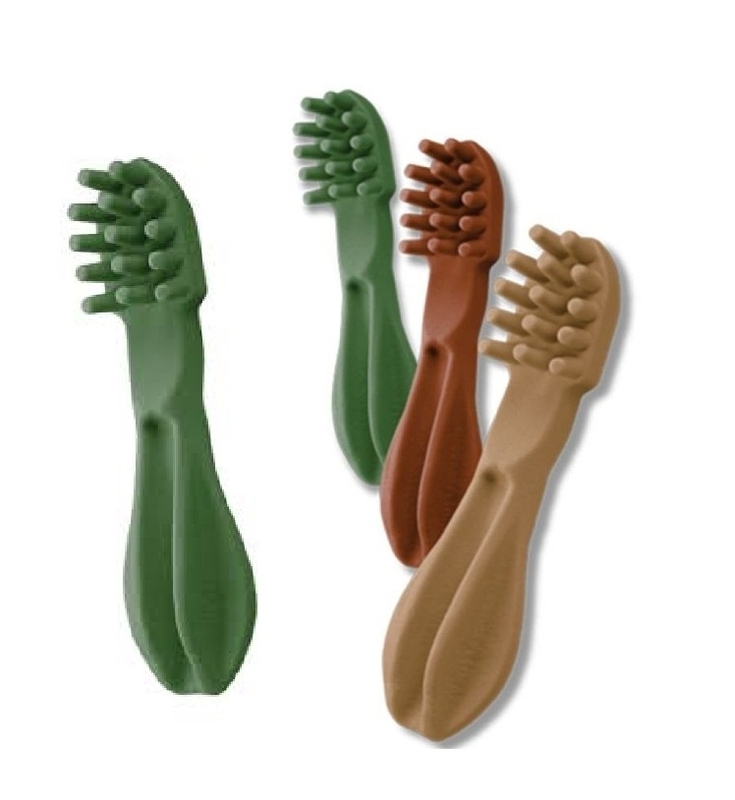 Compare them to the ingredients in similar products, and we are confident that you will also become a fan of Whimzees. 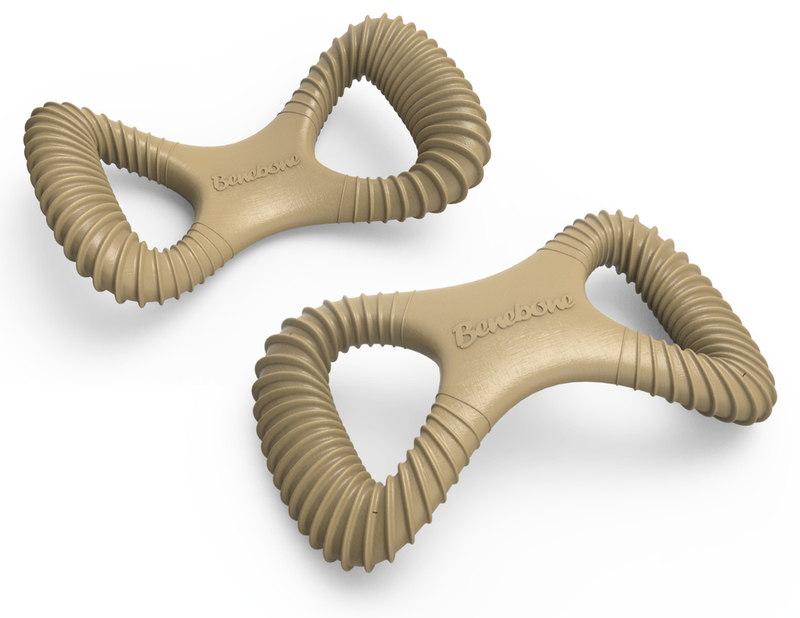 Dogs do need to chew and it is possible providing them with chew toys such as those made by BeneBone and Nylabone may help keep their teeth clean, to a certain extent. 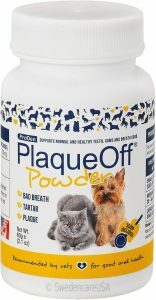 Alone they are not a substitute for brushing, PlaqueOff, or dental procedures by your veterinarian. 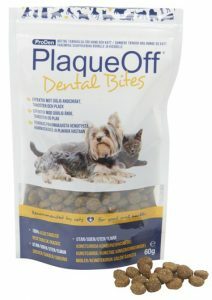 Many who feed a raw diet that includes raw bones, or regularly supplement their dog’s diet with raw bones, find the chewing of these bones keeps their dogs teeth white and sparkly clean. The smoked marrow bones from Chasing Our Tails have been very popular with our clients as a way to keep their dog busy and to help keep their teeth clean. There is an urban myth that feeding only dry food will keep your pet’s teeth clean, and it is just that – a myth unless it is a prescription diet, and while these foods can help keep your dog free of periodontal disease, they may not provide the best nutrition. The same holds true for most dry biscuit products. 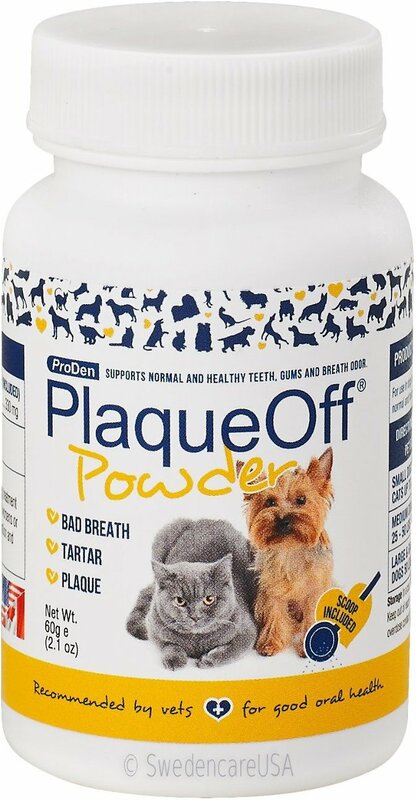 Cat’s teeth may benefit greatly from having canned (wet) food in their diet. 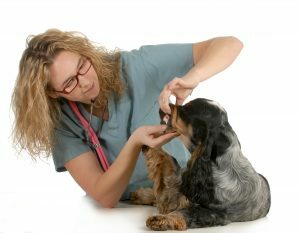 Make sure that you discuss your pet’s dental care the next time you take them to the veterinarian. 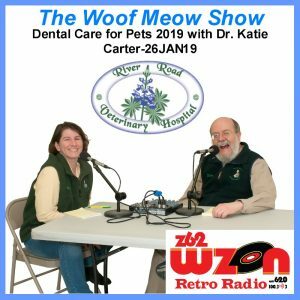 Taking care of your pet’s teeth now is very likely to keep your pet healthier and happier, and may also save you a great deal of money down the road.